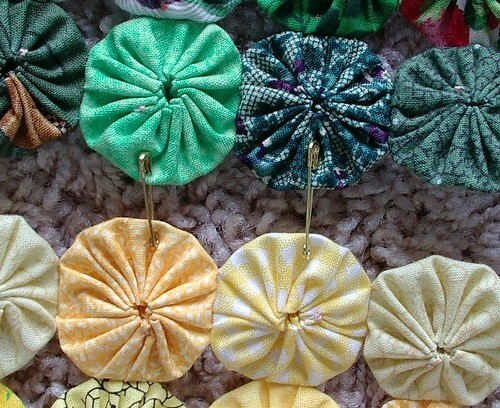 I am making a mini yoyo quilt for Suzyhomemaker over at MJF. 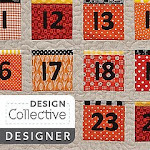 She was in charge of the "4th of July Quilt Block Swap" over on that forum. If you remember, I was moving during the swap and she was kind to me and made blocks for me. She even sent me blocks when I wasn't expecting it. 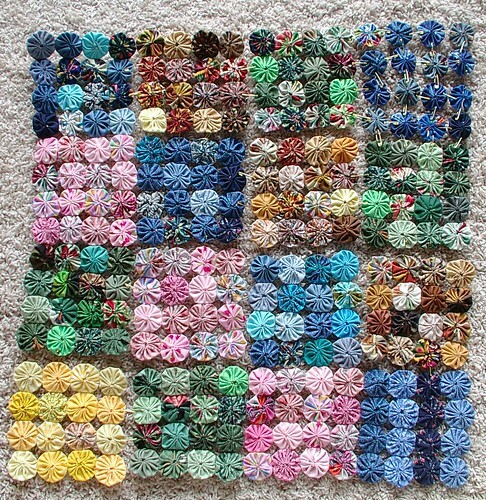 There where 13 blocks in the swap so I made 13 blocks in yo-yo + 3 as a thank you for her generosity. I have one more block to finish, then I'll finish all the stitching between the blocks. I like to pin the blocks and yoyos together before I stitch so I can get a feel for what they will look like in the completed project. 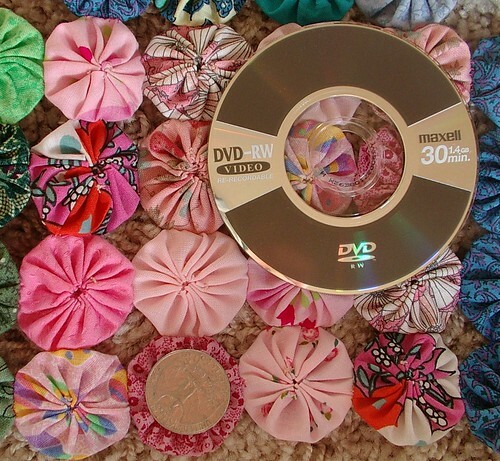 I used a mini cd as my template which I plan on sending to Clare (suzyhomemaker) with the mini quilt. Then, if she wants, she can make this bigger. 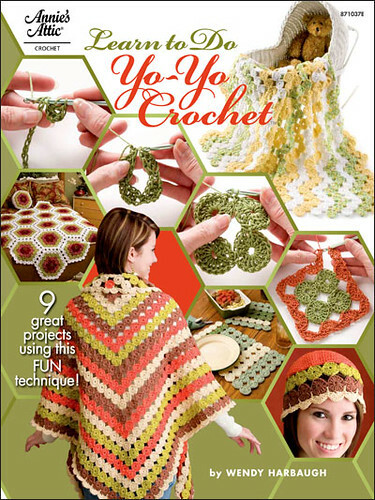 She can easily put a border on it and use random yo-yos as the border so she doesn't have to follow the pattern I did. Clare is in the yo-yo swap at MJF that I am in charge of (side note: sign ups are still open), so when I am done swapping those out, this will be placed in her package. Temp joins between two completed blocks. Temp joins on uncompleted block. I love it! 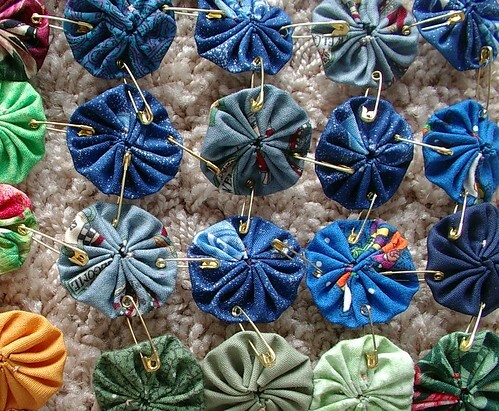 It's such a great little quilt and all the lovely little yo-yos look fabulous.